Ownership / Access: Historic House open to the public. 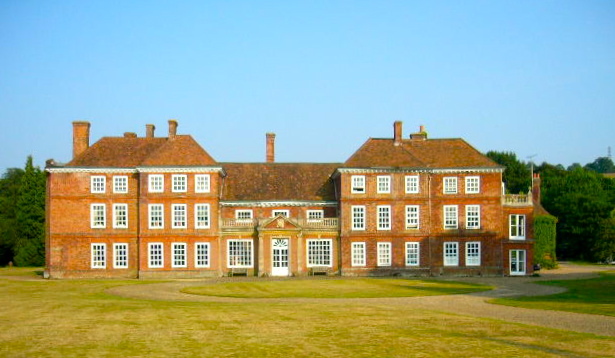 Notes: Lullingstone Castle is an historic manor house, set in an estate in the village of Lullingstone and the civil parish of Eynsford in the English county of Kent. It has been inhabited by members of the Hart Dyke family for twenty generations including current owner Guy Hart Dyke. Mentioned in the Domesday Book, the present house was started in 1497. Henry VIII and Queen Anne were regular visitors to the Manor House. The Tudor gatehouse, built by Sir John Peche, who became Sheriff of Kent in 1495, is believed to be one of the first in England entirely of brick. What survives of the house is largely of the Queen Anne era.